Lucid Design's Full-Size Bike Fits Into a Tiny Circular Backpack! Lucid Design’s Full-Size Bike Fits Into a Tiny Circular Backpack! Lucid Design just unveiled a full-sized bicycle that fits into a tiny backpack! 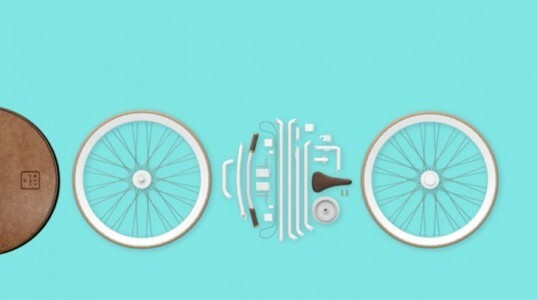 The lightweight bike can be broken down into 21 parts that fit snugly within a high quality circular bag. The Kit Bike is perfect for those who travel often and want to bring their bike along on planes, trains, and buses. 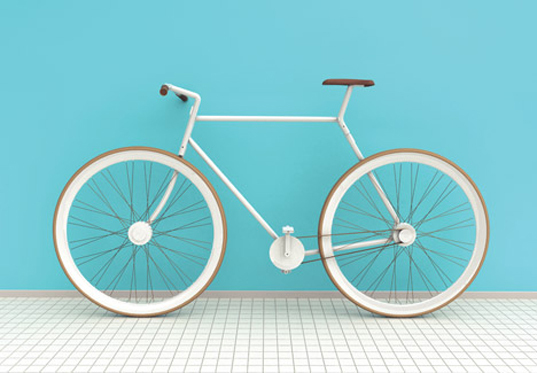 The Kit Bike’s 21 pieces easily twist and lock together, making assembly a snap. The frame is made from lightweight aluminum tubes that lock together with a key. The streamlined design is much simpler than a folding bike, and it can be easily assembled just about anywhere. When disassembled, the Kit Bike fits snuggly in the round leather back pack, with one wheel on each side and a central section for the other pieces. The Red Dot Design Award-winning project also has a light shipping footprint, since it can be flat packed and stacked for transportation. The bike can also fit in the back seat of a small car with ease, making it easy to bring a bike along on vacation. As of now Lucid Design has no plans to mass produce the Kit Bike, but we hope they change their mind! This isn't a real bike. Single-sided forks front and back, no seat tube. This "bicycle" would be a miserable ride. This is why "Lucid Design has no plans to mass produce the Kit Bike". Tiny!??!?! A backpack the size of a bike wheel is pretty much the most awkwardly huge backpack I've ever heard of. Not tiny. Ridiculous. The internet is addicted to hyperbole.. and this is one of the most extreme.